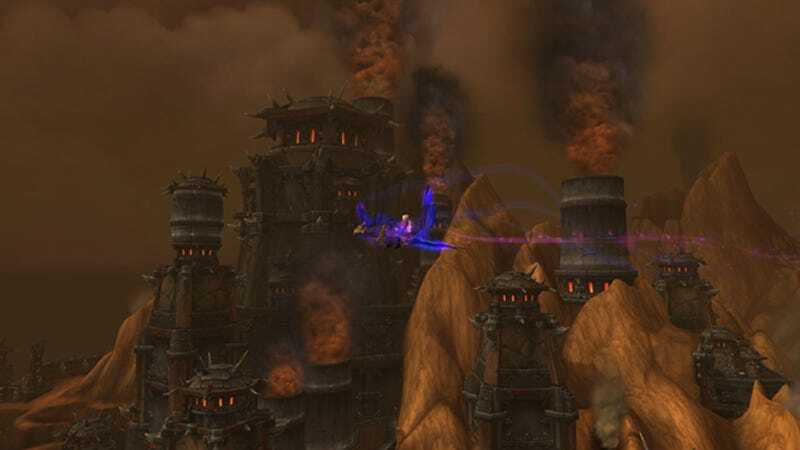 After the initial plan of a WoW expansion without flying, the folks at Blizzard changed their minds—and now, the patch that adds the ability to fly is here and it completely changes our time on Draenor. Draenor not only looks beautiful from above, but flying also makes a bunch of things easier. Had trouble finding all those fishing pools for your level 3 Garrison Fishing Shack? Instead of getting lost with a ground mount now you can just fly around and check the minimap for pools. Same with archaeology (although no one cares about that). Collecting hidden treasures are now also super easy and since these spots contain a lot of gear, getting a fresh level 100 alt ready for endgame content is now only a matter of hours. Unlocking the ability to fly is a little bit different this time. In previous expansions if you’ve reached a certain level you could just buy it from a certain vendor. In Warlords of Draenor you need to complete seven achievements which unlock a meta-achievement, flight ability included. They are pretty easy, and if you have a level 100 character you probably already have half of them unlocked. There’s one exception though: Tanaan Diplomat. For this one, you need to hit “revered” reputation with a bunch of newly introduced factions. That might take time if you haven’t played WoW in a while and only returned to have some fun with flying mounts. If you don’t want to grind, there’s an alternative, quicker way: Get Medallion of the Legion items from the Auction House. Each of these give 1000 reputation points to every Draenor faction, so eventually you’ll reach the needed number.